July, you were a brutal month, and I am in no way sorry to see you go. 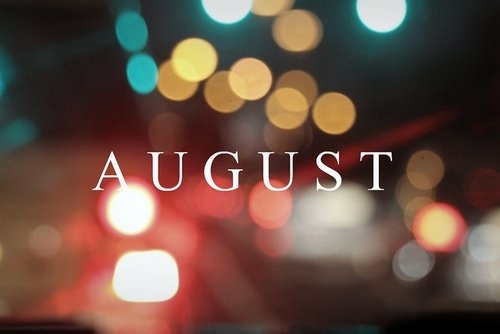 August, welcome to the party. No matter how hectic this week has been, it culminates in a beautiful, beautiful book sale tonight, courtesy of my local library. Hardbacks are $2, paperbacks are $1, and I cannot contain my excitement. Hence the enormous tote bag and one of my most comfortable outfits. I'm wearing a henley-style hi-low shirt, the faded, ripped-to-perfection jeans that look great even if my legs hurt like nobody's business, my foolproof Madewell sandals and necklace. This is what recycling and shopping your closet is really about - find items you already own, remix and rewear them in different ways that make it look like you have an outfit delivery system at your disposal. Put it together however you want. Heck, it's your Thursday!